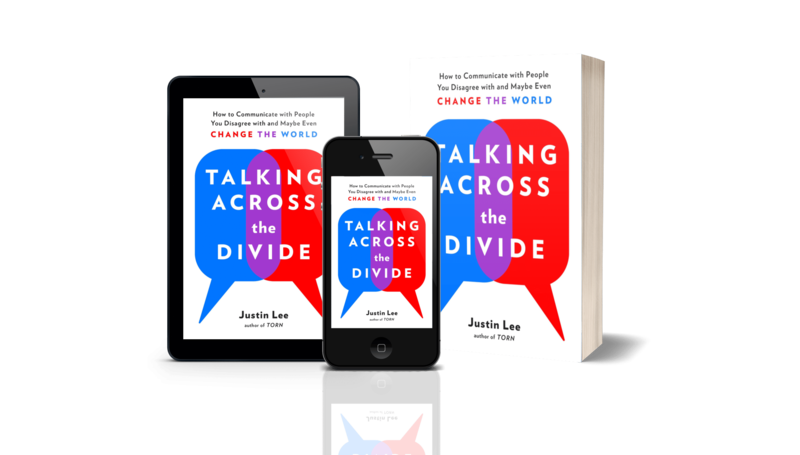 It seems like forever that I’ve been waiting, but my new book, Talking Across the Divide, is now available in print, ebook, and audiobook versions, from wherever you like to buy your books. Today, launch day, I’m going to be spending the day doing radio interviews by phone with a variety of stations across the country. But I’ve got lots of stuff to share over the next few days, including a free downloadable study guide, frequently asked questions, and stories about why I wrote this book and what the publishing process has been like. So if you haven’t already done so, sign up for my email updates and I’ll let you know when those things go online. In the meantime, you can click these links to read about the new book, request an interview, or request a speaking engagement. And once you’ve read the book, don’t forget to join the conversation! Share your feedback via that link, and I’ll post your comments, questions, and criticisms as part of an ongoing discussion about how we move forward as a society.